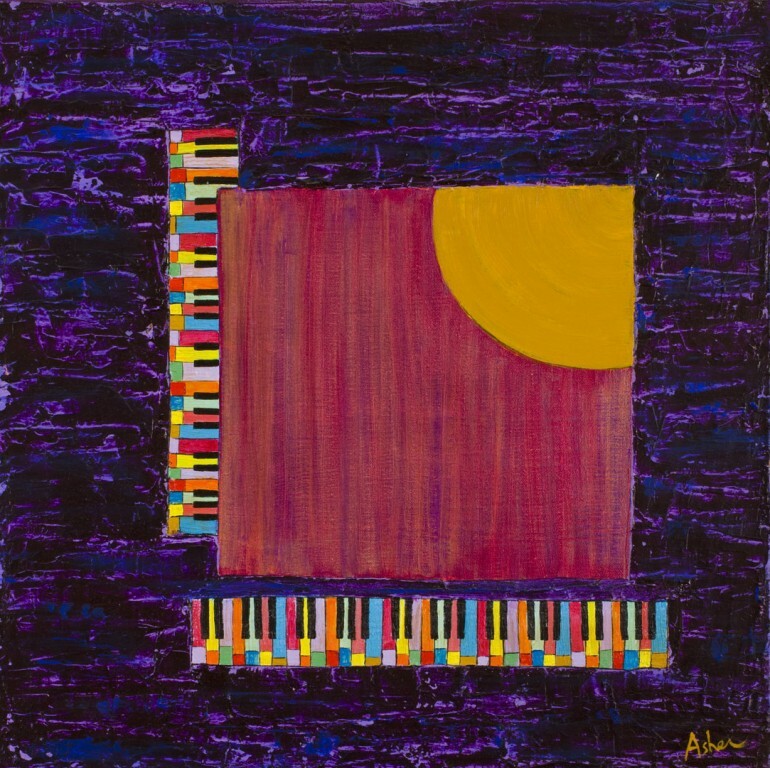 This piece features two keyboards and a guitar sound hole on a background of multiple layers of blue and purple applied by both brush and palette knife, creating a purple haze. Each piano key is subdivided by different sized color bars which resemble a digital recording meter, creating the impression of a player piano in action. In this painting, color is not limited to mere representation and/or expression, the color provides the motion of the keyboard action.